Just like any other language, Dutch is influenced by many other languages, including those spoken in neighboring countries like Germany, France and Great Britain. Obviously, Dutch also influences other languages, like those spoken in the former Dutch colonies, such as Suriname. Today, however, I would like to address the influence of French on the Dutch language. It has always astonished me how many words are exactly or very close to the same meaning in Dutch as they are in French, even though the languages belong to different language families. Words that are “lent” from another languages are called leenwoorden in Dutch. Of course, many French words have found their way in many languages: the similarities between English and French helped me tremendously during my study semester in France, and the French influences on German can also not be understated. This spillover effect between languages is natural and makes sense: language is a part of a people’s culture, and cultures spread easily, today more than ever with, for example, online social networks. Take for instance the word selfie. It went over the world in a matter of weeks, and made it into several official dictionaries of different languages quickly. A quite clear language barrier between French and Dutch was established by 1400. Belgium lies between France and the Netherlands, and both Dutch and French are spoken there. The French language spilled into other languages mostly between 1400 and 1800, when especially France was an important power in Europe. In the 17th and 18th century, it was even considered chique to speak French in higher circles, and people in these circles often spoke French fluently next to their own language. The influence of French in the Netherlands is profound. 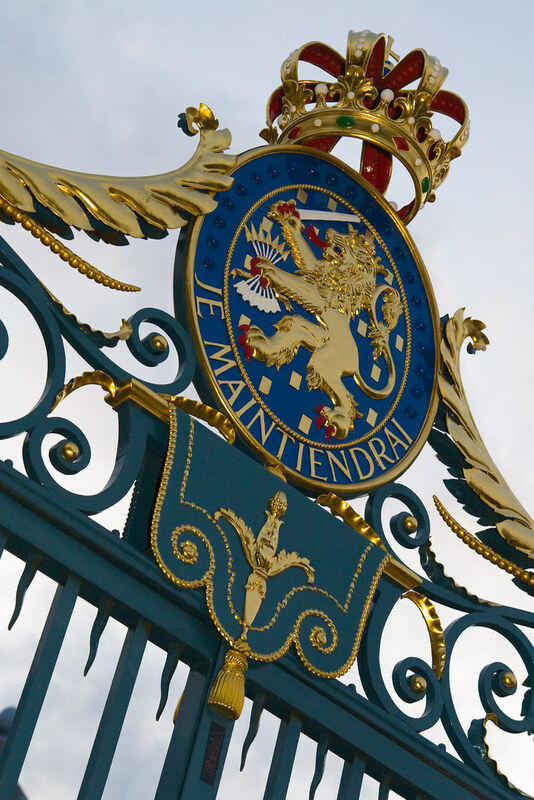 The words je maintiendrai (ik zal handhaven – I shall maintain) are still on the coat of arms of the Netherlands today. There are also a ton of words that the Dutch took from the French. Below a short list, which is by no means exhaustive! An interesting one is s.v.p. (s’il vous plaît), which is the same as a.u.b., the acronym for alstublieft (please, literally “if you please”). s.v.p. is used at least as much as a.u.b. in the Netherlands, even though it stands for something that is not even Dutch! Is your language strongly influenced by another language? If so, which one? Did your language influence other languages? If so, which ones? What about cadeau=kado (present)? Am I correct? I lived in NL for a year, 1972-1973, as an American exchange student; I believe I am remembering this correctly. @Ann McCloskey Yes, you are! The same counts for bureau, chapeau, and many others. The reason so much French is part of the language is because the Netherlands was ruled by France in the time of Napolean. His brother was set up as ruler. During the 18th century the power and wealth of the Netherlands declined. A series of wars with the more powerful British and French neighbors weakened it. Britain seized the North American colony of New Amsterdam, turning it into New York. There was growing unrest and conflict between the Orangists and the Patriots. The French Revolution spilled over after 1789, and a pro-French Batavian Republic was established in 1795–1806. Napoleon made it a satellite state, the Kingdom of Holland (1806–1810), and later simply a French imperial province. After the collapse of Napoleon in 1813-15, an expanded “United Kingdom of the Netherlands” was created with the House of Orange as monarchs, also ruling Belgium and Luxembourg. The King imposed unpopular Protestant reforms on Belgium, which revolted in 1830 and became independent in 1839. After an initially conservative period, in the 1848 constitution the country became a parliamentary democracy with a constitutional monarch. Modern Luxembourg initially remained united with the Netherlands, but today is ruled by a separate branch of the Dutch royal family. @Kristene Very true! However, right after the French rule, the influence declined quickly.